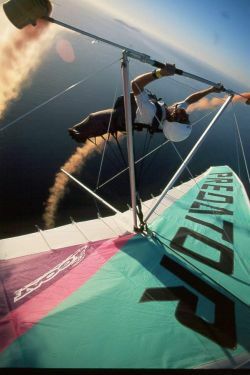 The PREDATOR is an advanced hang glider designed to meet the exacting requirements of the advanced pilot. The Predator is strong, light weight, has excellent handling, performance and great landing characteristics. The proven carbon fiber airframe enables the Predator to be both light and strong, and allows a dialed-in flex/rigidity distribution to give super strength, excellent wing shape definition and great handling.� To improve performance the Predator is designed with reduced twist and a myriad of unique design features that enhance the performance characteristics yet still maintain pitch stability and sweet handling. The Predator’s semi-symmetrical airfoil in the tip area produces less drag at low angles of attack which results in a higher usable top speed and improved high speed glide ratio. 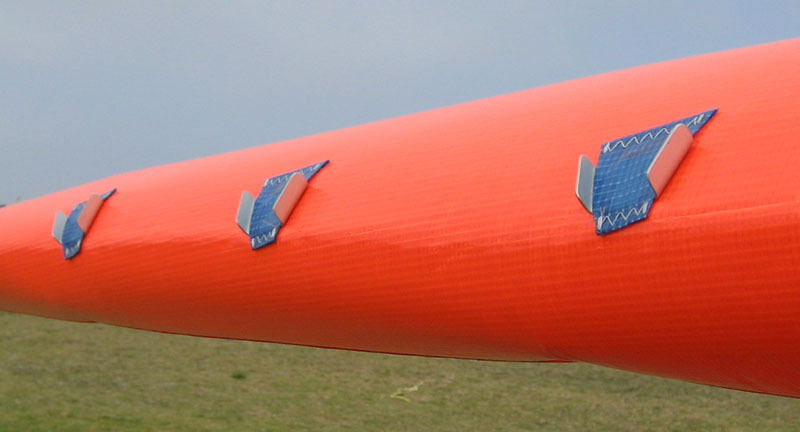 To further improve wing efficiency, particularly in the tip area, the Predator incorporates boundary layer energizers (vortex generators) that keep the airflow attached through higher angles of attack. 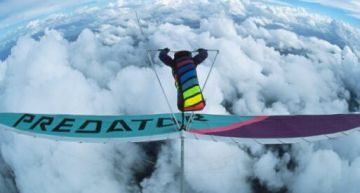 The Predator sail is made by the most experienced and meticulous sailmaking team in the hang gliding industry who use materials and techniques geared toward a higher quality and longer lasting sail.� The Predator has one of the highest aspect ratios (8:1) of any glider for better glide potential. The Predator is a unique wing. Even with its exceptional performance, you will enjoy the feel of confidence in all flying conditions in your Predator. We at UP understand that your choice of glider is important to you.� The Predator is a glider designed by a team that knows what it means to fly an exceptional glider.� From set-up to landability, your glider must be the best.� You will find that your Predator will meet or exceed your requirements, from subtle details such as comfortable static balance to performance characteristics such as the fastest documented acceleration of any glider in the world. Pilot hook-in weight 140 - 220 lbs 220 - 300 lbs. Weight 64 lbs. 67 lbs.